This TWO BEDROOM terraced house is now available for viewings. 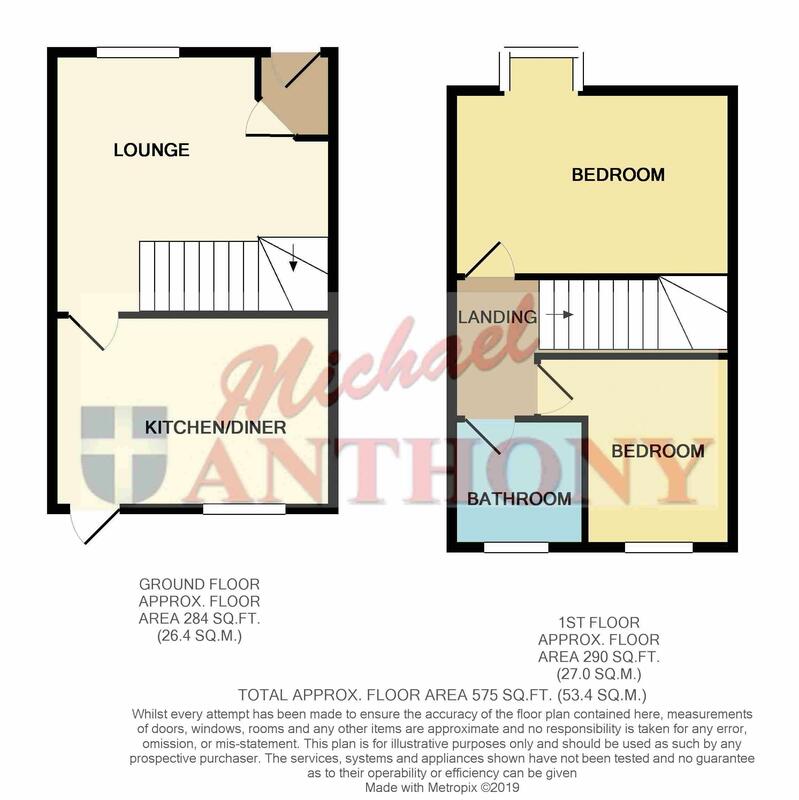 The property comprises of a LOUNGE then through to the KITCHEN/DINER. The upstairs benefits from two bedrooms plus the FAMILY BATHROOM. You also have OFF ROAD PARKING to the front and garden area to the front and rear. Viewing is recommend as this house would be IDEAL FOR A FIRST TIME BUYER. Double glazed window to front aspect, radiator, door to kitchen, stairs rising to first floor, gas fireplace. Double glazed window to rear aspect, a range of storage cupboards at base and eye level, rolled edge work surface areas, stainless steel single drainer sink unit, splash back tiling, wall mounted boiler, spaces for a washing machine, fridge freezer, cooker and tumble dryer, radiator, double glazed door to garden. Access to loft void, doors to bedrooms and bathroom. Double glazed box window to front aspect, radiator, airing cupboard. Obscure double glazed window to rear aspect, a three piece suite comprising a bath with shower over, pedestal wash hand basin, low level w.c., radiator, tiled walls. Off road parking for one car to front of property. Enclosed by wooden fence panelling, patio area, mainly laid to lawn. Mainly laid to lawn, patio area, shed to remain.